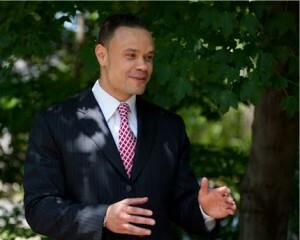 In June 2011 Dan Bongino had one of his first radio interviews on Red Maryland Radio. Ten months ago the.. The latest episode of the The Broadside is up. Listen to internet radio with redmaryland on Blog Talk Radio Andrew..
Here’s what’s coming up on The Broadside tonight at 7pm: Vice President of FreedomWorks, and CATO policy analyst, David Kirby,..
Andrew Langer flies solo as co-host Mark Newgent recuperates from his trip South of the Border! He broadcasts live from.. 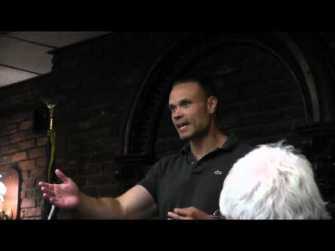 The Broadside was live Monday evening from the Queen Anne’s County chapter of Americans for Prosperity meeting featuring former governor..
Come support Daniel Bongino, a Red Maryland endorsed candidate for United States Senate. It’s time to send Ben Cardin to..
U.S. Senate Elections in Maryland are a tricky proposition. So rarely do we get a great shot as Republicans to.. If you missed it live, please take a listen to our live broadcast from the (at times very loud) lobby..
We have another great episode of Red Maryland Radio this week, starting tomorrow night at 8. On this week’s show:.. Tune in tonight at 7pm for The Broadside, the newest program on the Red Maryland Network. Join hosts Andrew Langer..
Another great episode of Red Maryland Radio from tonight. 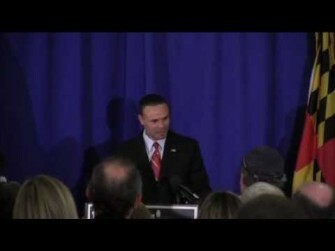 On this week’s show: U.S. Senate Candidate Dan Bongino discusses his..
As we broke for you Wednesday evening, we finally know why Pat McDonough’s ventriloquist doll, Sue Payne, has been—under her..
Another great episode of Red Maryland Radio from tonight. On this week’s show: Former State Senate Candidate and businessman Jerry..
From Daniel Bongino’s Baltimore Sun oped: I am running for Senate because I fear our political leaders have lost faith..
Take a listen to this week’s episode, featuring: Brian Murphy discussing Daniel Bongino’s U.S. Senate Campaign; and Andrew Langer, discussing..
As Brian noted below in the promo for tonight’s Red Maryland Radio, we will be joined by 2010 Gubernatorial candidate..
U.S. Senate candidate Daniel Bongino responds to a know-nothing caller on the previous episode of Red Maryland Radio who distorted.. This is an episode that will be talked about. Take a listen to this week’s show, which includes: U.S. Senate..
We’ve got a lot to talk about this week on Red Maryland Radio Thursday Night at 8. Topics will include:..